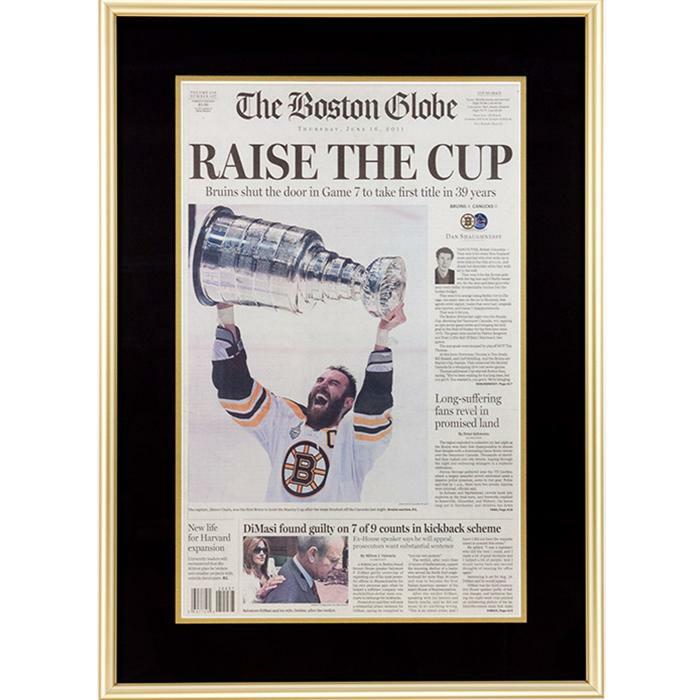 Framed Size: 17" x 24"
Description: The front cover of the Boston Globe the morning after the Boston Bruins became 2011 Stanley Cup winners. This page features captain Zdeno Chara holding the trophy over his head during the post-game celebration. This page is matted in black and metallic gold, and framed in a 1/2" rounded gold metal frame with UV-filtering glass.